Ourhi ghl yr at edmat t r es s esoﬀeramaz i ngcomf or tands uper i ors uppor t .Ourbedsoﬀert es t eder gonomi csanddes i gn wher eeachel ementcanbecust omi sedl eadi ngt oat r ul yper sonal i sedbed.Over40di ﬀer entheadboar dst yl es, 100’ soff abr i cs&l eat her sandmanyex t r asi ncl udi ngmassageandr emot eadj ust abl esl atopt i ons. ReDi scovert heval ueofi ncr edi bl ygoodsl eep. FIMBank p.l.c. is a licensed credit institution regulated by the Malta Financial Services Authority and listed on the Malta Stock Exchange. The Bank is a participant in the Depositor Compensation Scheme in Malta. Terms and conditions apply. ydrangea flowers are produced from early spring to late autum. Nicknamed ‘Change Rose’, Hydrangea’s corymbs or panicles (flowerheads) are usually white but in some species, most commonly Hydrangea macrophylla, the colour can vary from light pink to dark purple, with shades of blue in between. In Hydrangea macrophylla, the flower colour depends on the acidity of the soil or potting mix. A pH value below 7 means higher acidity, typically producing flowers that range from blue to purple. Alkaline soils – typical of Maltese gardens – produce flowers ranging from pink to red. You can’t turn a pink flower blue, but blue Hydrangeas will produce pink flowers unless the potting mix’s pH value is kept low. QUICK OATS A healthy, nutritious start to the day Good Earthâ&#x20AC;&#x2122;s Quick Oats are quick and easy to cook, have that extra creamy flavour, are high in fibre and very low in salt. Quick Oats contain oat beta-glucan that can help lower cholesterol too! Add all your favourites like fresh berries and nuts or enjoy with just plain milk. Penne, mango and feta cheese salad with herb dressing This quick dish is ideal to serve as a light starter. You just need to infuse the olive oil a day ahead. cubes. Peel, deseed and cube the tomatoes. Boil the penne, once cooked dress with the herb-flavoured olive oil. Mix with the cubed tomatoes and mangos, corn nuts and feta cheese. Hint: If you prefer, you can replace the pear tomatoes with halved cherry tomatoes. The herbflavoured olive oil is a highly versatile addition to your kitchen cupboard: you can use it as a salad dressing and on potatoes, meat, fish, etc. If you like to spice up your dishes, simply marinate a whole chilli pepper in the herb-flavoured olive oil. Sunday Lunch buffet is back on the 14th of October, offering a wide variety of cuisines from around the globe. njoy excellent service and quality food at your favourite weekend getaway location. With a large variety of themed stalls from Mediterranean and Lebanese street food to sushi and a carvery, guaranteed to please anyone’s palate. Finish off your meal by stopping by the dessert stall and choose from a selection of perfectly handcrafted sweet treats. Head down to Golden Bay or take a walk around the hotel’s countryside for the perfect end to your day. INDIA “When I was asked to prepare something for the October issue that was slightly out of my comfort zone I chose to go Indian. One of the reasons was that I remember Daphne’s love for Indian fabrics, artifacts and jewelry. This is my small tribute to her.” M I C H A E L D I A CO N O chef patron, Giuseppi’s bar and bistro. 2 tablespoons oil or ghee • 1 bay leaf 1 teaspoon cumin seeds • 2 cloves garlic 5cm piece ginger, grated • 2 carrots, peeled and diced 3 large beetroots, peeled and diced • chilli 750ml water • some fresh coriander stalks salt • yoghurt and nigella seeds to serve. pot and add the bay leaf, cumin seeds and garlic. Stir fry for 1 minute before adding the ginger. Cook for a further minute. then reduce the heat and simmer gently for 30 minutes till the vegetables are tender. Use a stick blender to purée the soup. If the result is too thick, simply add a little water. coriander stalks. Season with salt. dollop of yoghurt, some finely chopped coriander stalks and a sprinkling of nigella seeds. Delicious little bites of fish full of flavour, to be served as a starter with refreshing mint chutney. I used lampuki since they are in season, but any firm white fish would do. SERVES 4 AS PART OF A STARTER SELECTION. We finely chopped all the ingredients together by hand for a more rustic finish, but you may use a food processor too. seeds in a hot dry frying pan. Keep aside. paste and fry for 2 minutes. Add the blended tomatoes and cook gently till slightly thickened. make a purée. Keep aside. 3. Heat the oil in a large pot. Add the sliced onions and cook gently for 15 minutes till golden. Add the garlic and cook for a minute or two. juice and serve topped with fresh coriander and sliced spring onions. Okra – or ladies fingers, as some people know them – are considered to be quite an exotic vegetable, which is sad really as they used to be fairly common in Malta when I was a child. You will find them stocked in the larger supermarkets. adding the coconut. Stir well and cook for 2 minutes. Add some chilli . Add the yoghurt and coconut milk together with the curry leaves. Season and simmer for 15 minutes before adding the fried okra and lemon juice. Mix well and serve. 1. Prepare the filling first. Cut the cooled, boiled potatoes into 1cm cubes and put them in a bowl. the flour and salt into a bowl. Add the oil and use your fingers to rub in. Add the water a little at a time, using enough to just bring the dough together. lime-sized balls. Roll the balls in between your palms to smoothen, then flatten slightly. Roll out on a floured surface to create round side plate-sized discs. hands till the pastry is not sticky any more. Wrap in plastic and refrigerate for at least 1 hour. pan on low heat. Place a disc on the pan and cook for just 8 seconds on one side only. Transfer to a board and cut in half. some chilli, garam masala and chopped coriander. Stir gently to mix all together. Place in the fridge till needed. glue using flour and water to form a paste. on your hand with the cut edge at the top and the cooked side facing you. Brush the cut edge with some flour glue. Fold in the two corners so they meet in the middle, overlapping the edges, then press down to seal. You should have an upside cone in your hands. that the pointed end is now at the bottom. Use a spoon to fill the cone with the stuffing and seal using more flour glue to create a triangular pastry. and serve warm. We served these with a coconut and tomato sambal. SICILIA One word describes Sicily - vivid. Sicily is brightly coloured andÂ bursting with taste. Sicilian markets are an amazing way to spend a few hours. Courgette flowers can make a light snack or dress up a meal. Toss them in olive oil over a light heat and then stir the wilted flowers into a risotto. Or fill them with a herb and cheese mix and lightly fry them to serve with a crunchy green salad. fillets and olives on two plates and drizzle with good quality olive oil. SICILIA The atmosphere feels very Mediterranean and market stalls brim with super delicious produce. At this time of year, autumn colours already dominate the scene - chestnuts, prickly pears, pomegranates, pistachios, pumpkins, baked olives and sun dried tomatoes. plate, scatter flaked toasted almonds over the top, and serve at once. SICILIA It’s always a struggle to stay within the limits of food shopping. There is plenty to bring home. I particularly love the sun-dried cherry tomatoes from Pachino, the baked olives, wild origano, pistachios from Bronte, almonds from Avola, the almond pastries from Modica, the peperoncino called fuoco dell’Etna, pasta di mandorla to make almond milk at home, and the pistachio brittle. And, having many friends, I always end up with a couple of litres of olive oil to carry back home. divide it between two plates and serve sprinkled with toasted flaked almonds. lives aren’t everyone’s favourite food. You either hate or love them. I love them and have eaten them for as long as I can remember, starting from when I would take a few wobbly toddler steps into my grandparents’ kitchen and close the Western style saloon doors, thinking that I was hidden (I wasn’t, but I didn’t know it at the time), to open the fridge and reach up for the olives. I would then pull up a chair and nibble my contraband goods and I remember loving the saltiness that came with every bite. As well as those fond childhood memories, in recent months olives and olive trees have gained particular significance for me. Early in October last year, my aunt Daphne invited my sister and I to her home to help harvest the olives in her garden. As we arrived, we were greeted by the familiar barking of dogs, fresh air and Daphne smiling and waving. My other aunts soon arrived too and after a fresh, ice-cold glass of water, we all made our way down to the garden with my cousins, all of us decked out in our gardening clothes. together, talking and laughing as we feasted on tea and biscuits. We left my aunt’s home just as the sun was going down. Of course, that meant going through the twenty-minute departure, as my grandfather calls it. Yet somehow, that day, those twenty minutes felt like a mere few seconds. As we got into the car and drove off, I looked back towards the house, watching as Daphne smiled and waved goodbye, not knowing then that it would be the last time I ever saw her. This is why I decided to write about olives for this issue of Taste&Flair. They remind me of the last few moments and memories I have of Daphne, of a better time when I still had my aunt and when my family could be together as a whole. I have a different reason to love olives now. It takes just one bite for happy memories to come back to me. in a bowl, add the yeast and leave the bowl in a warm place for about 15 minutes. The yeast will activate and turn the mixture frothy. set the oven to 200C to preheat. Remove the cling film from the tray and press your fingertips into the dough’s surface until it is dimpled all over. olive oil and yeast mixture together until it forms a dough. This is easier if you use a stand mixer with a dough hook, rather than a wooden spoon. olive oil, allowing the oil to pool in the dimples. Put whole olives into some of the dimples, and sprinkle the surface with chopped rosemary leaves and coarse sea salt. Scatter whole rosemary tips across the dough as a garnish. the oven until it is lightly coloured on top. Well-made focaccia is light golden brown on the outside and a soft creamy-white on the inside. ready-brushed with olive oil. Cover the bowl loosely with cling film or with a damp cloth to prevent the dough drying out. Leave the bowl in a warm place for about an hour or until it doubles in size. a baking tray with olive oil, place the dough on the tray and pull and stretch it with your hands until it fills the tray. Loosely cover the tray with cling film and let the dough rise until it is double in size. This should take about an hour. sides of the processing bowl. Then add the second tablespoon of olive oil and process again until almost smooth and no garlic chunks are visible. bread or freshly baked focaccia. Store the rest in an airtight container in the fridge – if there’s any left. using a food processor for a smoother finish. Process all the ingredients together with one tablespoon of olive oil for about 15 seconds. esplendent, regal and the epitome of natural beauty, the blue peacock is not a common sight unless you are somewhere in India, where you may see one strut proudly through the rustling markets with their forests of busy and bustling legs, or flying across the emerald rice fields. The spectacular bird we picture when thinking of a peacock is in fact the Indian peafowl. The ‘peacock’ is the name given to the extravagantly decorated male of the species, usually an iridescent blue, or, very rarely, white, caused by a complete lack of pigment in its plumage. The much less extravagant and rather plain female is known as the ‘peahen’. In many cultures, the peacock has strong religious symbolism and legendary involvement. In India, and later in Iran, it was believed that the peacocks’ radiant wheel-like display of feathers represented the ‘all-seeing’ sun and the orbits of the many celestial bodies within the universe. This placed it in the realm of the divine. In 1963, India declared the peafowl its national bird, with symbolism deeply rooted in the country’s traditions. Emblematic of immortality, the Indian peafowl naturally became a popular motif within civilisations throughout the centuries, gracing the robes of India’s royalty in the 15th century and, later, in the 17th century, inspiring craftsmen to create the ‘Peacock Throne’ for Mughal emperor Shāh Jahān. The Mughal throne, which stood on golden feet, was ascended by silver steps set with jewels and had a back with representations of two open peacock tails, decorated with enamel, precious stones and metals, making it one of the most splendid thrones ever crafted – so splendid that it was stolen when the Iranian conqueror Nādir Shāh captured Delhi in 1739.
pasta in the sauce, add the pea purée, chopped parsley, a knob of butter and season with salt and pepper. 11. Mix well and serve. the guanciale into cubes and cook it in butter until crispy. add some chicken stock to the cooked guanciale. grated pecorino and egg yolk. is cooked, drain it and place it in the sauce. pasta in a boiling pot of water. oil in a pan, add the beef cheeks and cook to seal. Add the chopped carrots, leeks, celery, garlic and thyme and sweat till light brown. bring to the boil and simmer in a 150C hot oven for 3 hours till soft. cooking the risotto in traditional way, adding a ladleful of the braising stock from the beef cheeks and allowing the rice to absorb the liquid before adding more. Stir constantly. is cooked, mix in the raisins, capers, parsley and mascapone cheese and mix well. Season with salt and pepper. pan with red wine and reduce the liquid by half. by sweating the chopped celery and the risotto rice for a couple of minutes, without colouring. risotto topped with braised beef cheek. calamari, remove and chop the tentacles. egg whites, breadcrumbs and season with salt. calamari in an oven dish and bake for 7 minutes. parsley, prawn, black olives and chives. mixture in the cleaned calamari. calamari in a sauce pan, add tomato sauce, basil and a knob of butter. and crumbled ricotta to the chopped ingredients. serve the calamari sliced wth the cooked tomatoe fondue. cleaned fish with salt and pepper inside and out. fish in baking paper followed by aluminium foil to form a pocket. fish from their paper pockets and drizzle with fresh lemon juice. at 180C for 2025 minutes. fish with olive oil, then place the fresh herbs inside each fish. place in a tray with the bay leaves, rosemary, and corn oil and cook gently in an oven at 100C for 4 hours. filo pastry flat and brush with melted butter. Place the guinea fowl mix along one edge and roll the pastry into a cylindrical shape. Bake till golden brown. and garlic till soft, then mix in the chopped guinea fowl leg confit, set aside and allow to cool. cooked leg pastilla, roasted swede and turnips and chicken jus. unsalted butter and bitter chocolate in a bowl and place on a pot of simmering water to melt. crumble and caramel ice cream. yolk and sugar till fluffy and pale. inside of pudding moulds and fill with the pudding mix till ¾ of the way up. A year since the DOK Malta, DOK Gozo – Wines of Distinction Campaign was launched, it’s time to catch up with some of the vintners who are the key players behind the labels DOK Malta, DOK Gozo and IĠT Maltese Islands. Interviewed here are Daniel Mercieca for Bacchus Winery, Matthew Delicata for Emanauel Delicata WineMaker and Liliya Taseva for Montekristo Winery. How long have you been in this sector? How did you get started in winemaking? Bacchus Winery is a family-run business which was established in 1862, inherited from father to son. I am the fifth generation and have been in this sector for over thirty years. Having been born into a winemaking family with a tradition of over 100 years it was natural for me to follow in their footsteps. I officially started working in the winery during my summer holidays whilst I was still at university. I would help out in the laboratory during the busy harvest months. Then, after graduating I joined the winemaking team which I eventually started to head. Montekristo winery was established in 2004. As a vintner which is your favourite/ most challenging part of the winemaking process? Why? The harvest is both the most challenging yet my favourite time of the year. It’s a very intense time when you are constantly working to get the grapes to reach the perfect ripeness and turning them into delicious wine. It’s the time when all the hard work in the vineyard comes to fruition. It’s a wonderful sight watching a grower’s beaming face delivering a successful harvest. It is my responsibility to transform those high-quality grapes into premium wine. Definitely the most favourite period is the harvest time. It personifies the beginning, the optimism, the energy – all positive feelings we have when we start something new. And although it is a yearly process, it is still a challenge. Which is your favourite kind of wine? This is similar to asking a parent to choose a favourite child! I love them all, and they all have their place especially with a good meal. The wonderful thing about Malta is that we are opting for various styles which is very rare for such a small region to do. It is a wine lover’s paradise to come here and have this vast spectrum of wines to enjoy. As a winemaker working mainly with red varieties, it is not a surprise that my favourite wines are the red ones. The preparation of red wines always needs more attention and patience and when I taste a red wine I`m trying to discover the core and the character of the wine. Which grape variety features most in your wines? Our indigenous white variety Girgentina and the world-renowned Chardonnay are definitely the most dominant grapes. They give the perfect balance of sticking to our roots with our native varieties, while also giving the wines an international approachable dimension to them. The two grape varieties presented in our wines are the Chardonnay – touched with the unique Mediterranean terroir, and the Syrah which gives rich wines with intense colour and flavours. Is there any method/ specifications that characterises your wines? The old traditional methods blended with the new technology. A virtue of fine wine always gives an indication of the sense of place. Our wines have to evoke fresh sea breezes and warm summer nights. Our wines are always packed with bright fresh fruity aromas and we always prioritize drinkability and finesse which make them appropriate to thoroughly enjoy in our climate. The method of the vinification depends on the varietal and the style of the wine but the balance is critical. What does DOK and IĠT mean to you? For us, it’s the control process from the grapevine to the bottling of wine. For me, this is a seal of approval that the wines we make are getting analysed and tested by an expert panel and getting the approval needed. It is also a tool to instil further confidence in our customers and having something to show that our products have been independently inspected and certified. Although the certification is still relatively in its infancy (just over ten years), it is slowly but surely gaining more exposure and will continue to do so in the future. DOK/IGT suggest controlled grapes and it is our quality guarantee for the clients. Our goal is to keep the family’s tradition of winemaking as a familybusiness and passing this passion to future generations. This is not an easy task! My main future goal is firmly putting Malta on the world wine map and continuing my family’s legacy. Every person who discovers our wines is immediately impressed and surprised that we are capable of producing such good quality with a variety of wines. This shows we are on the right track and will create ambassadors for our industry worldwide. We must keep on striving to improve our wines in anyway possible, be it the vineyard or the cellar while also improving the way we communicate our virtues and the virtues of our beautiful islands. One of the most important goals we have for the future is to work in close contact with our clients, giving them the chance not only to taste our wines and visit the winery, but even to be present and participate in the winemaking process. Our farm No. 49, Bianchi, was one of many farms which were part of a vast Italian colonising project to develop agricultural land in occupied Libya. The project, begun as soon as the resistance began in 1911, was subdivided by the early and mid-1920’s. Italy lost the Second World War, as well as its colonies in Africa, namely Libya, Eritrea and Somalia. When Libya became independent, its farmland reverted to Libyan ownership. My paternal grandfather became a pensioner when he was 60. Though most of his working life as District Governor was desk-bound, he had maintained a great interest in gardening and had a particular fondness for plants. An idle life in retirement was not for him, so he sold the family home in Janzour and bought an established farm in the village of Bianchi from an Italian farmer who had decided to move back to Italy. My grandfather’s decision was to prove idyllic: fresh air, organic produce and physical activity for all the family. In the 1950’s and 1960’s, Libya was an exporter of a number of commodities, mainly olive oil, citrus fruit, peanuts, potatoes, and livestock. Farming to cater for such exports flourished. Our farm and others like it catered for export demand, producing peanuts, potatoes, and citrus fruit, and tomatoes for local canning. Two tall palm trees, with heavy bunches of dates dripping like golden nuggets in the sunshine marked the end of one orange grove and the beginning of another. Over the years, orange production on farm No. 49 flourished, producing varieties such as: Calabrese, Sanguinello, Belladonna and Tarocco, the Italian names for fruit being widely used. Seville oranges were also grown to make marmalade. The fruit from the few lemon trees dotted around the farm were grown solely for the family’s consumption, especially for making fresh lemonade. [Taste&Flair note: see recipe on page 83.] Our family lived in Collina Verde, a suburb of Tripoli, and the highlight of our week was driving to Bianchi on Thursday evening and spending the weekend on the farm. The 1-hour drive from Collina Verde was full of excitement as we looked forward to a fun-packed time with our grandparents, aunts, uncles and cousins, who would all converge on the farm for our customary Friday lunch. I can still vividly picture my father turning our olive-green Volvo 145 station wagon into the Eucalyptus-lined driveway, a memory which will be forever etched in my mind. After lunch, while the adults indulged in a siesta, we children played hide-andseek among the orange groves, savouring the fresh country air. We spent the whole afternoon climbing the trees and gazing in awe into what, to a child, seemed to be an endless sea of orange trees laden with the most succulent oranges. Traipsing through the orange groves, we would stumble upon olive, peach, apricot, plum, pear, apple, and pomegranate trees. During spring, the blossoming trees would turn into an intricate and delightful patchwork of colour. My uncle, Kamal has dedicated his life to the farm, toiling for years on the land with all the joys, trials and tribulations that go with this vocation. It is mostly thanks to him that the rest of the family continued to enjoy the fruit for many years. When chatting, his sentences would be peppered with Italian words such as pala, trattore, tubo, reminders of the Italian era. With my father’s steadfast support and guidance over the decades, the entire family is still able to enjoy this peaceful oasis. The farm covers 13 hectares of land; 4.5 hectares dedicated exclusively to the cultivation of orange trees. Each hectare contained 400 trees, so at the farm’s peak there were approximately 1,800 orange trees of several varieties. The best years for production of citrus fruit were from 1980 to 1990. Most of the time the entire orange harvest would be sold while still on the trees and we knew not to help ourselves to any of that fruit. However, my uncle would allocate certain trees for the family’s consumption, and we eagerly helped ourselves to those. We also enjoyed the sweetest watermelons and on one particular occasion I recall all of us children giggling as we took it in turns to try lifting a huge one which weighed a hefty 30kg. During the olive harvesting season, we would all help to gather the fruit. A rake would be used to shake the olives from the branches, dropping them onto a net spread out under the tree. Some would be kept for pickling. Most would be sent off to the local olive press for the most delicious and organic extra virgin olive oil. Orange blossom water At dawn and sunset, the damp air in the orange groves would be permeated with the exquisite perfume of orange blossom. The flowers would be gathered and processed through steam distillation to produce a few bottles of concentrated orange blossom water which we would use for making pastries, sprinkling into couscous and adding a few drops to fresh lemonade. In the kitchen: Sliced oranges are transformed into something very special by adding a dash of cinnamon, a dribble of honey and a sprinkling of orange blossom water. Stir a teaspoon of orange blossom water into a mixture of mascarpone and whipped cream to top fresh strawberries. Sprinkle orange blossom water onto fresh fruit salad for an exotic touch and to enhance the sweetness of the fruit. Other uses: Use orange blossom water as a facial toner. Sprinkle a few drops to fragrance a bath. Add to the ironing water for delicately perfumed clothes. During the orange blossom season, the air would be permeated with a heavy, intoxicating perfume. With every orange season, I feel deep nostalgia not only for Bianchi oranges but also for the carefree days in the land of my birth surrounded by family. Two tall palm trees, with heavy bunches of dates dripping like golden nuggets in the sunshine marked the end of one orange grove and the beginning of another. A tree I found fascinating was my grandmotherâ&#x20AC;&#x2122;s henna tree, Lawsonia inermis, also known as the mignonette tree. Grandmother would gather the leaves and pound them to a fine powder. At the slightest sight of grey hair, she would take a small amount of the powder, mix it with water into a fine green paste, and apply it all over her hair. A few hours later, she would rinse it off and her hair would shine a beautiful deep red hue, the colour of the Sanguinello oranges growing on the farm. The highlight of any visit was always a ride in the grey Peugeot 504 pick-up truck. All the children would pile into the back and an older cousin would take us for a ride around the farm. With each jolt and bump there would be bouts of hysterics as we tried to reach for more oranges from the dangling branches. During the orange blossom season, the air would be permeated with a heavy, intoxicating perfume.Â For me, this association will always trigger fond memories of my mother sitting under the shade of an orange tree, engrossed in a book among the fragrant blossoms. This was her private sanctuary, a multisensory oasis in the midst of the orange groves, feeling at one with nature in a land far away from that of her birth, where she found solace. In the shade of those orange trees, my young cousins joined her to sing along to nursery rhymes and listen attentively to the fairytales she told in her joyful and animated way, feeding their fascination for other cultures and places. Grandmother would always make sure that everyone went back home with boxes of oranges to share with friends in the city, to either be juiced or eaten fresh. My mother used fruit from the farm in some of her recipes, which remain favourites to this day: home-made Seville orange marmalade, a classic orange and almond cake, a zesty lemon cake, and fresh lemonade with mint. 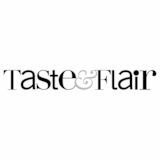 [Taste&Flair note: see recipes starting on page 82.] It was rather special biting into something made with our own farm produce and savouring every mouthful. Even today, just one bite or sip takes me right back to our family home in Bianchi. Although the orange trees have dwindled in number and the farm, like Libya itself, has seen better days, I cherish fond memories of both places, of a bountiful and giving land and one which was so welcoming. With every orange season, I feel deep nostalgia not only for Bianchi oranges but also for the carefree days in the land of my birth surrounded by family. Earlier this year a Libyan orange peace festival was held in Warshefana, close to our farm, an area which has been caught up in regional clashes. The festival organisers wanted to show a positive side to life in the area, spreading a peaceful message and supporting local farmers, giving people much needed hope for a sense of normality to return. My own children, nieces and nephews who are now spread across continents, have a real yearning for this magical place where they have spent many memorable summer holidays. No doubt my grandfather would be happy to know that his farm has given so much pleasure to his great grandchildren and a real connection to their heritage. Hopefully, it will continue to do so for generations to come. T&F NOSTALGIA These recipes, full of zesty flavours always reconnect me with Bianchi and are reminders of my childhood on the orange groves. This rich, moist and wholesome cake was a favourite of my mother’s. It may be served as a dessert too. 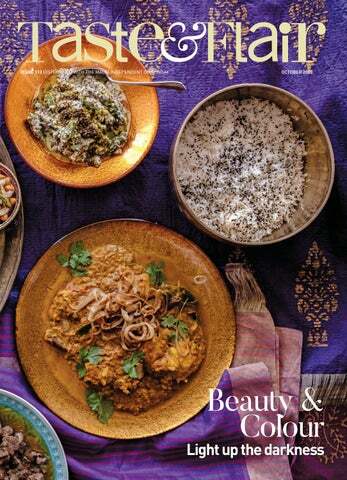 The recipe was first featured in A Book of Middle Eastern Food published in 1968. Tip: instead of buying the ground almonds, I prefer to grind them to keep some of the crunch. Optional: In a blender, beat a tub of mascarpone, with 2 tablespoons icing sugar, a teaspoon each of milk and vanilla essence and when the cake is cool, cover it with the icing and sprinkle some orange rind to decorate. well and pour into a buttered and floured cake tin, preferably one with a removable base to help you turn out the cake smoothly once baked. loaf pan and bake for 45-55 minutes until the cake is golden brown and a toothpick comes out mostly clean. flour, baking powder, lemon zest, and salt. Set aside. add the eggs one at a time, then beat in the vanilla extract and lemon juice. Beat on medium-high speed until combined. 10 minutes in the pan. Stir together the lemon juice and icing sugar for the lemon syrup. Carefully invert the loaf pan, and transfer the cake to a cooling rack, then brush the syrup on the cake while still warm. 8. Allow cake to cool completely. mixture and mix until almost combined, then add half the buttermilk and mix until just combined. Repeat with another third of flour mixture and then the last half of the buttermilk, ending with the last third of the flour. all the icing ingredients, start with 1 tablespoon lemon juice and milk and add the remaining lemon juice as needed. The icing should be thick and not runny. Pour icing over cake and let dry before serving. Moroccan mint tea The ingredients for Moroccan mint tea are simple, however the traditional process is quite elaborate and time consuming. This is an easy way of preparing the tea without deviating too much from the authentic way. Usually sugar is added to the pot with the tea to caramelise, but I prefer adding sugar or honey to each glass when serving, according to individual preference. Shangri La: Doris Duke’s Hawai'ian Utopia Doris Duke was fabulously rich and famously reclusive. Her home in Hawai'i, once an intensely private refuge, is now a museum where everything “lives forever in an environment of boundless beauty” B Y S A C H A S TA P L E S Photos: courtesy of the Doris Duke Foundation for Islamic Art, Honolulu, Hawai‘i. This page: Jali Pavilion at Shangri La. © 2014, Linny Morris, courtesy of the Doris Duke Foundation for Islamic Art, Honolulu, Hawai‘i. Doris Duke and Sam Kahanamoku playing slide and acoustic guitars, 1939. Photo by Martin Munkácsi. Shangri La Historical Archives, Doris Duke Foundation for Islamic Art, Honolulu, Hawai‘i. Gift of Hope Cromwell Hopkins. oris Duke was twenty-two years old, the heiress of an enormous American tobacco fortune – which she inherited at age twelve, earning her the nickname, “Billion Dollar Baby” – and a bonafide belle of Manhattan society. She had just walked down the aisle and was embarking on a ten month round-the-world honeymoon with her newly minted husband. The year was 1935. During their travels, the young couple visited places that most Americans at the time could only dream of: India, Iran, Egypt, Morocco, Syria, and Turkey. Duke was mesmerised by the ornate Islamic art and grand Mughal architecture that she encountered throughout North Africa, the Middle East and beyond – Mughal architecture being the Indian-Islamic style dating back to the 16th century which features such design elements as large domes, wide hallways, vaulted ceilings, internal courtyards, and intricate ornamentation. Duke was especially captivated by the majestic Taj Mahal mausoleum during the couple’s two months in India. She was awe-struck by the ivory marble masterpiece and she longed to recreate it, somehow, back home in America. At the time, the couple had just begun renovations on their Palm Beach estate and Duke sought out British architect Francis B. Blomfield, who was based in Delhi at the time, to discuss her plans for a master bedroom suite inspired by the marble and stone features of the Taj Mahal. The architect began works immediately, contracting craftsmen and artisans in India to work on the suite, which featured ivory marble inlaid with jade, malachite, and lapis lazuli. The couple corresponded with Blomfield throughout the remainder of their honeymoon travels. Duke was eager to see her dream come to fruition. Mughal Suite exterior. © 2014, Linny Morris, courtesy of the Doris Duke Foundation for Islamic Art, Honolulu, Hawai‘i. Living room. © 2015, Linny Morris, courtesy of the Doris Duke Foundation for Islamic Art, Honolulu, Hawai‘i. he commissioning of her master bedroom suite was the first chapter of Duke’s interest in, appreciate for, and patronage of Middle Eastern and Asian art, design, and architecture. While it was not a new practice for British aristocrats and wealthy Americans to design their homes in the style of exotic cultures – think of the popularity of the Chinoiserie style in Europe in the mid-to-late 17th century – American interest in ancient Islamic and South Asian decor in the 1930s was decidedly uncharted territory and Duke’s plans for her suite were novel, even eccentric. The newlyweds landed stateside in Hawai'i in August of 1935 to cap off their honeymoon after many months of travelling abroad. Upon arrival on the island, Duke felt as though she had stumbled upon a mythical utopia, falling under the beguiling spell of Hawai'i, with its rich indigenous history and lush, tropical topography. In 1930s America, with the Great Depression raging across the country, Hawai'i was quickly becoming a playground for the wealthy elite. Only those with unprecedented wealth could afford to fly there, let alone take up residence. Duke had grown up in New York from a little rich girl into an heiress, a debutante, and now a wife with a high-profile marriage, and she had spent most of life dodging the attention and responsibilities that her gilded cage had forced upon her. Hawai'i offered a salvation from her life in Manhattan and the couple decided to extend their stay by four months. In Hawai'i, Duke was able to escape the prying eyes and wagging tongues of her socialite circle, not to mention the ruthless gossip columnists who tracked her every move. Hawai'i, and the home that she would build there, would become the greatest loves of her life. Mughal Garden. © 2015, Linny Morris, courtesy of the Doris Duke Foundation for Islamic Art, Honolulu, Hawai‘i. construction process. Duke named the property Shangri La, inspired by the utopian paradise of James Hilton’s 1933 novel, Lost Horizon, where no one ever grew old and no evil could enter. The Shangri La compound included the main house, a guesthouse, gardens, terraces, courtyards, and a pool, covering 14,000 square feet. Construction took two years to complete and cost a staggering US $1.4 million (over €20 million by today’s equivalent), making it – by far – the most expensive and luxurious home ever built in Hawai'i at the time. Shangri La was not the easiest design and construction project, however, as it was not the typical holiday home, and yet that is precisely what it was. During the two years of construction, Duke and her husband continued to travel in the Middle East and would constantly be making changes or incorporating new elements to the Shangri La designs as they went along. Duke had a team of designers and archeologists scouting designs across many Muslim cultures. She spared no expense and sought out authentic design elements, styles, and specific pieces that she had made note of during her honeymoon and afterwards. As evidence of her commitment, Duke once imported an entire room from a 19th century palazzo in Damascus. with all kinds of goodies and morsels to delight as well as weekly special surprises that range from blinis to Bellinis at â&#x201A;Ź35.00 per person. Discover our brunch with a different twist every Saturday! Book NOW! It was here, on these wild green acres, that Duke would build her dream home. Playhouse, with Diamond Head in the background. © 2014, Linny Morris, courtesy of the Doris Duke Foundation for Islamic Art, Honolulu, Hawai‘i. Mughal Suite bathroom. © 2014, Linny Morris, courtesy of the Doris Duke Foundation for Islamic Art, Honolulu, Hawai‘i. unique personal tastes. At her Shangri La home, Duke created a new style that was multifaceted, surrounding herself with beautiful styles and pieces that inspired her and brought her immense joy. From the time of her honeymoon up until her death in 1993, Duke had collected and displayed 3,500 Muslim artefacts at her Shangri La home. Her treasures included Iznik tiles, marble mosaics, furniture from Damascus, mirrored columns, Moroccan ceiling frescos, the Taj Mahal-inspired master bedroom suite, gilded Ottoman scrolls, and mother-of-pearl bureaus from Syria. The crowning jewel of Duke’s collection is a towering prayer niche from a 13th century tomb in Iran. Nearly every window in the house is shielded by both wood and marble screens, featuring delicate patterns that filter in the bright Hawai'ian sunlight, and create a safe, womb-like atmosphere within. Despite Duke’s staggering assemblage of Muslim artefacts, Shangri La never felt like a museum. It was, after all, Duke’s beloved home and haven. The space had to be spectacularly designed, but also functional, while still possessing the comfort and warmth that one would expect from a private home perched on the edge of a hill overlooking the Pacific Ocean. It is easy to imagine Duke strolling through the gardens, entertaining guests at the Jali pavilion as the sun sinks into the water, or relaxing on the corduroy sofa in the living room, her arm draped elegantly across a cushion, cocktail in hand. Shop from Sicily with SendOn Deliver to our hub in Sicily and we will do the rest. Pickup service also available for purchases within Catania, Sicily. www.maltapost.com/sendon terms and conditions apply. Dining room. © 2015, Linny Morris, courtesy of the Doris Duke Foundation for Islamic Art, Honolulu, Hawai‘i. Duke’s travels, her experiences, her interests and passions are forever preserved. he Shangri La house allowed Duke to uncover her passion for design and architecture, travel and North African, Middle Eastern, and Asian cultures, but also for antique collecting and art patronage. Without setting out to do so, her home became the largest private collection of Middle Eastern art and design in the United States and despite being a famous recluse throughout her life, Duke specified in her will that, following her death, the executors of her estate should open Shangri La to the public for the study and protection of Islamic art and culture. Syrian Room. © 2014, Linny Morris, courtesy of the Doris Duke Foundation for Islamic Art, Honolulu, Hawai‘i. Mural painting transforms and extends space in ways limited only by the imagination. Borrowing a technique from the 16th century, large scale panoramic scenes in classic and contemporary designs are fashioned off site and delivered ready-made to transform an interior. SUBLIME WALLS Eclectic, poetic and elegant panoramics Photography from Maison Pierre Frey's first collection of panoramic wallpapers: Galerie. Karma is a contemporary acrylic art work on canvas, creation by Catherine Pierlovisi combining the artistâ&#x20AC;&#x2122;s favorite colours and textures. When prehistoric painters at Lascaux in southwest France first decorated the walls of their grottoes, they couldn’t have known that they were starting a tradition that would evolve into a fine art. Depictions on the walls of the cave dwellings tell us much of what is known about the worldview of the people who lived there. And so it has continued throughout the history of civilisation. From the raw paintings on the walls of a rocky grotto in prehistoric times, to the rich and elaborate murals of ancient civilizations in Rome, Mesopotamia, and India, to the refined frescoes of renaissance Italy, wall paintings have distilled the stories, experiences and values of people in particular times and places. Above left: Accorus is a collection of grasses and herbs in black and white made using the cyanotype technique. This photographic process reveals the negative image of a large-format plant bouquet composed of sweet flags, pampas grass and ferns. Above right: Fond Marin evokes the bottom of the sea as imagined by Carla Talopp. The painting plunges the viewer into coloured depths, where seaweeds dance, corals hypnotise and the blue of the ocean is everywhere. Right: La Cible d’Amour is a reproduction of François Boucher’s original painting entitled LA CIBLE DE L’AMOU. Photo © RMN-Grand Palais (Louvre museum) - ©René Gabriel Ojéda. t Les Rocheuses (The Rockies) belong to an unreal, imaginary world, where nature is unchained. The design recalls seventeenth century engravings from northern Europe. x L’esterel is an idyllic, handpainted landscape from the south of France, where sunrise brings out the lights and shadows of stone pines, agave plants and the Mediterranean sea, with a brush painting technique that reveals the character and depth of this panorama. q La Serre, a trompe l’oeil greenhouse with tropical plants, banana trees and birds of paradise thrive in a hand painting by Cédric Peltier. The relaxing scene evokes far-away places with surprising realism. Mural decoration is unique among pictorial art forms in that it is inherently linked to the architecture in which it is found. The style and form, its colour and design, and the theme of the art can change the feel of a space and the visual proportions of a building’s interior. It is a 2-dimensional art form with a 3-dimensional impact. Unlike framed art, mural art dissolves dividing walls and ceilings rather than marking their physical presence, the possibilities of the art form limited only by artists’ imagination and the available techniques. In classical antiquity, fresco – painting directly on wet plaster– was the traditional medium for mural painting. From the 16th century onwards, artists developed and used the technique of painting on canvas which was then attached to a wall surface. The technique was less durable than traditional fresco painting, but considerably easier to manage as the painting did not have to be executed on site and errors were far more easily corrected. Jardin d’Eden brings you fruit, passion flowers, vines and banana trees surrounding a waterfall in a hand drawn illustration created in a pointilliste monochrome – a delicate, painstaking technique which gives the drawing depth and charm. his project involved two rooms – the main bedroom and its walk-in wardrobe, and a nursery. It may have been only two rooms, but due to the attention to detail that was implemented, a small project ended up being a fairly complex one. When we first saw the main bedroom, it was large and cold, and the walk-in wardrobe was awkward and irregular. There was a large unused fireplace in the corner of the room, and the window overlooking the pool was small and did not allow in much natural light. The nature of the house and the design brief were discussed in much detail with the client. The look and feel that we wanted to achieve was almost ‘French chateau meets high end hotel’, where the client could actually enjoy spending time in the bedroom getting ready for a night out or simply winding down after a busy day of work. Our design was aimed at creating a sanctuary of calmness where the client could relax and escape from the pressures of everyday life. Functionality and aesthetics had to work together to ensure that the space is used efficiently while looking visually stunning and serene. he bed is positioned opposite the TV and next to the window which was opened up and turned into a door leading to a balcony. Custom-made panelling above the bed and an upholstered headboard follow similar proportions and colour tones. We considered using wallpaper behind the bed, but were lucky enough to meet Dominique Ciancio, a talented artist, whom we commissioned to design and install the intricate panelling above the bed. The different shades of powder blue, cool gray and white, together with the antique-style carvings which form part of the panelling, crown the bed and give the room a regal feel without overwhelming the design. The bed itself and the chaise longue were custom made using fabrics and muted colours selected to complement the panelling above the bed. A floral pattern in French blue and champagne threads through the runner draped over the bed. The same fabric is used for the curtain that frames the door leading to a balcony. The detailing of the overall design is carried through to the balcony. A contemporary design of leaf-shaped elements was laser cut through a sheet of metal which was then used as the railing of the custom-made balcony. A light fitting integrated in the base of the balcony provides lighting for the pool and outdoor dining area below. Throughout the bedroom and the walk-in wardrobe, the flooring is made up of a black Cardoso stone border surrounding limestone persiano slabs with a brass insert in between. Installing a flooring border disguised the irregularity of the walls, which is typical in this type of dwelling, adding a contemporary classic feel to the rooms. he biggest design-detailing challenge was in the walk-in wardrobe. The black border throughout the floor area needed to be equally offset from the custom-made wardrobes. The furniture was installed towards the final stages of the re-fit, which meant close team-work between the carpenter and the tile layer. The panelling in the walk-in wardrobe makes the awkwardly shaped space feel larger, more regular and richer. The contemporary colour paired with the classical appearance of the paneling gives the space a timeless feel. Small ivory-looking globes used as handles on the panelled doors and drawers include carved detail. Panelling was introduced in the doors of the wardrobes, the front panels of the drawers and on the cladding around the mirror. The â&#x20AC;&#x2DC;vanity areaâ&#x20AC;&#x2122; includes his-and-hers vanity units and is surrounded with large light bulbs and detailed carving. The interior of the jewelry showcase was finished by the artist Dominique Ciancio, complementing the panelling in the bedroom. A slender track light runs through the centre of the walk-in wardrobe, and the light fittings hanging from the track appear as though they are floating in mid-air. The space around the one window in the walk-in area was turned into a seating area with a bench below the window decorated with tea velvet cushions. More panelling was introduced to the landing. All internal doors throughout the sleeping quarters of the house were custommade and finished with classic moulding. Patterned glass was carefully selected for some of the doors. Brass handles and locks add to the classic contemporary feel of the space. on presentation of this advert & when you buy any Dulux Easycare product. ou can be forgiven for missing it completely. The Word is a meditation garden tucked away on the rooftop of a building in one of Malta’s busiest areas. Invisible from street level and in an area crammed with buildings, choked with traffic both motor-driven and human, overhung with tower cranes and other construction paraphernalia, the garden is an oasis of calm. Both openly accessible and yet privately protected, the space welcomes anyone who wants to visit. To reach the meditation garden you must first arrive at WOW’s premises in Paceville, where a notice inside invites you to call at the reception area for an access code. “Ask for J”, this visitor was told. J obligingly walked to the lift, tapped a code into its control panel, and rode the lift to the top floor, pointing the way to the gardens. “To come back down, just press the ground level button,” he said, handing over a leaflet and then leaving discreetly, as one might wish when seeking quiet and solitude. Set on the rooftops of the WOW premises adjacent to the Augustinian Millennium chapel, The Word is surprisingly serene. Though open to the sky, and within sight of the buildings – and construction cranes – that tower around it, the garden insulates you from the noise and activity in the area. It’s not that you cannot see or hear any of the noise and movement of a neighbourhood buzzing with nightlife. It’s more that the space is small, intimate, and designed to create a feeling of being in nature. Though you can hear the noise outside, you feel protected against it by the invisible cloak of silence that seems to hang over the space, broken only by the recorded sound of chirping birds. The Word consists of two split-level gardens, housing some forty trees and plants indigenous to Malta. They line the external walls of the two garden spaces, each backed by a plaque identifying the plant and quoting scriptural references. Moving from one to the next is a meditative act in itself. Their presentation is uniform, focussing the senses on the natural forms and scents, the sight of green in a concrete jungle soothing to tired eyes. Image: Light Design Solutions Ltd.
Project contractors include: Lighting Design Solutions Ltd, HalMann Vella Ltd, Studio 7 Ltd, among others. The project is the manifestation of horticulturalist Peter Calamatta’s dream of a Biblical garden, housing plants mentioned in the Bible and which are indigenous to Malta. Accompanied by the enthusiasm and vision of Fr Hilary Tagliaferro, the process of the realisation of Calamatta’s dream was in the hands of architect Richard England in collaboration with Duncan Polidano. Cassiciaco, the lower of the two gardens, is named after the Villa of the wealthy Milanese Verecundus, where Augustine met his family and friends for leisure and to meditate, and where he heard the famous words “take and read” which led him to ask Bishop Ambrose to baptise him in the Christian faith. Here you find olive, pomegranate, and fig trees, papyrus, levant cotton, and a date palm, among other species. Hippo, on the higher level, is named after the place now known as Bone (pronounced Boh Neh) in Algeria. It was in the garden of a villa in Hippo that Augustine built a new community of friends, with whom he prayed, and discussed and reflected of religious and social topics. Among the plants in The Word’s Hippo you will find acacia, mulberry and myrtle, sage, lavender and aloe, and Laurus Nobilis, the bay laurel tree. This bitter India Pale Ale is brewed with high quality malt and traditional English hops. It has a strong, fresh character with a pleasant hoppy bitterness balanced out by malty sweetness as well as a rich biscuity taste. Pétillant-naturel wines are enjoying a renaissance. Add some sparkle to your day with pét-nat cocktails designed by Rodney Pisani, Food & Beverage Manager at Nori at The Villa. Drinks mixed by Daniele Russo, assistant bars manager, and Sdravko Mitev, bar manager. Photography & styling: Brian Grech, assisted by Stephen Azzopardi. ne of the oldest methods of producing sparkling wines is enjoying a renaissance. Pétillant-naturel (natural sparkling), known as pét-nat, covers any sparkling wine bottled before its primary fermentation is finished. The méthode ancestrale does not use added yeasts or sugars, unlike the méthode champenoise which is used to make the more famous Champagne and other sparkling wines. The wines produced by the méthode ancestrale have a simpler, more rustic finish. Traditionally, the wines are cloudy rather than clear, as they are unfiltered, and vary according to the time and place of bottling. The bottles are often sealed with a crown cap, much like a beer bottle, rather than with a cork, an unusual style of presentation for wine and one with particular appeal. These are not wines to be reserved for special occasions alone and can be served any time of day. Pét-nat wines themselves can be red, white or rosé, effusively bubbly or mildly effervescent. They’re lower in alcohol than most still wines and pair beautifully with a wide range of foods. The low alcohol and light fizz make them an ideal day time drink which fits in perfectly at lunchtime. Pét-nat in the USA refers to specific bottle fermented wine and not to a style of drinks, but pét-nat is directly related to slightly fizzy, low alcohol content, carefree drinks - carefree as there is no regional designation or certification of origin. Other pét-nat recipes include coffee tonic and carbonated red wine, ingredients more suitable for the winter time, making the pét-nat drinks versatile enough to be enjoyed during any season. The method of preparation for pét-nat drinks consists of shaking all ingredients (excluding the bubbly wines) over ice and then hawthorn straining (not fine straining) into the pét-nat bottles and topping up with the bubbly ingredient accordingly. All pét-nat drinks here are served in a vintage chalice glass. If you’re serving these drinks at home, use any type of wine glass. CA SA NOVA 2cl gin 1cl maraschino liqueur 4cl medium dry white wine 2cl fresh pink grapefruit juice Soda to top up. Shake all the ingredients (except the soda) over ice, hawthorn strain into a bottle and top up with soda. Shake all the ingredients (except the French sparkling wine) over ice, hawthorn strain into a bottle and top up with French sparkling white wine. Shake all the ingredients (except the sparkling rosé) over ice, hawthorn strain into a bottle and top up with sparkling rosé. Shake all the ingredients (except the Prosecco) over ice, hawthorn strain into a bottle and top up with Prosecco. 6. Arrangements – FLOS. Arrangements is a modular system of geometric light elements that can be combined in different ways, creating multiple compositions into individual chandeliers. Each unit simply attaches onto the previous one as if resting, balancing perfectly as a part of a glowing chain. “I have always been fascinated with the parallel that exists between lighting and jewelry. Starting from the simple fact of how each piece relates to human scale: one is designed to be worn on the body whereas the other is made to decorate the space someone occupies,” says designer Michael Anastassiades. Available at Elektra Ltd.
3. Bath with a view. Londonart has created a wallpaper collection expressly for the surfaces of showers, bathrooms, and the splashbacks behind basins and in kitchens: a decorative experience which goes beyond the usual tactile qualities of a tiled surface. It combines hard-wearing technical features with quality craftsmanship to give a personal touch to the most intimate spaces. Josies Bathroom Centre, Naxxar Road, Lija. Tel: 2141 0685. 4. Why buy an ordinary bed when you can customise your very own to match your style and personality. Enjoy Mattress Collection’s 30-Day Sleep Trial on the most comfortable memory foam mattresses ever made. Beautiful adjustable beds and a range of pillows and sleep accessories. Discover incredibly good sleep. Mattress Collection, Mdina Road, Zebbug, Tel: 2146 1961, Tal Balal Road San, Gwann, Tel: 2146 1962. 7. NATUZZI launch NEW Collection. Natuzzi don’t just design sofas, they design a complete lifestyle. They create and combine different pieces of furniture that work together in harmony, including bedrooms and dining areas. Thanks to years of experience, Natuzzi knows that comfort is not just about proportions and ergonomics. It also depends on the design of all the elements that make up an area and their ability to form part of a domestic project for a genuine home theatre. The NEW collection is now in store and certainly worth a visit. Natuzzi Store, Valley Road Msida, Tel 2144 6000. Edwards Lowell and Rolex have opened a Rolex Boutique that is the first of its kind in Malta. Situated in Republic Street, Valletta, the Edwards Lowell Rolex Boutique features an innovative use of Rolex’s signature aqua pattern and a handcrafted stucco wall with a depiction of Valletta. The new boutique offers professional expertise in an elegant setting, one that promotes a sense of harmony, discretion and intimacy with the brand, which has been setting standards in watchmaking for more than a century. “This is an exciting new chapter in Edwards Lowell’s distinctive history. It is a singular and world-class project that aims to set new standards in Maltese retail and pave the way for future projects,” said Malcolm R. Lowell, Managing Director of Edwards Lowell. ONE BOUTIQUE, A WHOLE ROLEX WORLD Every element of the interior design features the elegant Rolex aesthetic and radiates the values of the Rolex crown. Excellence, precision and attention to detail emanate from the careful calibration of colours and patterns in the fittings and furnishings. Sensitive lighting accentuates the beauty of a wide selection of Rolex models in display cases lined with beige leather with bronze trims. A striking emerald aqua floor highlights Rolex’s rich heritage, its wave motif referencing the iconic Oyster, the world’s first waterproof wristwatch. Used as flooring for the first time, the aqua material draws the eye across the boutique towards handcrafted stucco panels that feature a view of Valletta from the sea. The intense green used around the boutique creates accents that harmonise a refreshed colour palette. The space also mixes textures from walnut-brown wood to beige coloured marble and leather, and includes notable marble counters with leather and wood detailing. 8. Quirky Dutch brands now at Form. This year Form have introduced two Dutch brands to their collection, both friendly priced and unique in their own way. Zuiver is an interior label with a large collection of trendy products that will make anyone feel at ease and comfortable in their surroundings. Already a hit in more than sixty countries, the design team constantly creates new designs and products for a contemporary collection that is well known for being on trend, fresh, young and original. They are products that easily blend with any lifestyle. Dutchbone is inspired by global interiors. The design team travel around the world to beautiful places like India, China and Indonesia, looking for the right product inspiration for your home. Warm southern tones inspire the collection. A touch Nomad with a splash of roughness, their products are the precise blend of handcraft and industry, affordable and always expanding. 1. Nestlé MILO. A tasty natural malt chocolate drink that can be prepared with hot or cold milk or water. This nutritious beverage is packed with essential vitamins and minerals made from four simple ingredients: milk powder, malt barley, sugar and cocoa. It also contains calcium that is a vital ingredient for strong teeth and bones. For both adults and childen alike who are constantly on the go, Nestlé MILO provides the right recipe for that extra boost of energy and nutrition when it is needed the most. 2. NESCAFÉ Gold Blend. Your coffee break just got more refined, with the new NESCAFÉ Gold Blend. After all, it is more than your average instant coffee – way more. NESCAFÉ Gold Blend contains mountain-grown Arabica coffee that has been carefully roasted to perfection and finely micro-ground, for a richer, flavour-packed gulp. Plus, the revamped NESCAFÉ Gold Blend has been given a new look and taste, and is now available across the Maltese islands in all major retail stores. So go on, try the new NESCAFÉ Gold Blend and make your coffee break that bit more special. 7. This Christmas experience Ta Marija festivities line-up. Awarded for over a decade as the Best Maltese Food Restaurant, Ta’ Marija is ideal to meet up with work colleagues, family or friends to enjoy a festive feast. Combining delicious food and drink with a friendly atmosphere and varied entertainment line-up, Ta” Marija has everything you need for a unique dining experience. All-inclusive extravaganzas at €27.50 per person on Saturdays and Sundays, and Folklore Dinner Shows every Friday and Wednesday. Ta’ Marija, Restaurant, Constitution Road, Mosta. www.tamarija.com, tel: 2143 4444. 8. Farsons Gold Label Pale Ale is an all-malt pale ale brewed using two different types of malt and hopped using a special blend of five different hop varieties, which together give this beer its characteristic and unique hoppy flavour profile. The overall result is an innovative combination of the hoppy basic notes with exclusively fruity characteristics. Dominant hints of apricot, passionfruit and red berries, coupled with a touch of grapefruit, complement a very pleasant malt character with hints of biscuit flavour in the after-taste. 9. Shop from Sicily with SendOn. SendOn is now operating from the popular Italian island of Sicily. This newly launched hub in Catania offers customers the possibility of shipping their online purchases to Malta within 5/7 working days. MaltaPost has introduced a pick-up service within its SendOn brand. SendOn Pick up offers buyers the possibility of purchasing products from retailers in Catania which do not offer a delivery service or charge premium prices for delivery. Visit www.maltapost.com/sendon for more information. 10. Introducing the NEW INFINISSIMA from NESCAFÉ Dolce Gusto. A good coffee is a little luxury that makes each day better, so why not share the love with a special person? The new Infinissima is surely a gift that they will love throughout the year. It’s perfect for the coffee connoisseur who appreciates amazing coffee origins and cannot live without our bold espressos, creamy lattes, frothy cappuccinos as well as heart-warming teas, indulgent hot chocolates and even iced cappuccino – all at the touch of a button. 14. Yogikids Yogurt Banana with Strawberry Flavour. Children need a variety of nutritious foods and regular exercise to stay healthy. Staying healthy is also essential for your child’s happiness. Yogikids is designed for children from one year of age. Special care has been taken in developing a nutritious and delicious healthy snack for your growing child with a good source of calcium which promotes the growth and development of bones and teeth. www.facebook.com/PascualMalta 15. Divini Ravjul. Divini brings wholesome, genuine products to Maltese households. Handmade in Gozo from fresh ingredients and traditional recipes, yet supplied in latest technology, high convenience packaging, Divini products are a wonderful fusion of the old and the new. Divini Ravjul come in two varieties – Irkotta and Irkotta with Parsley. Each ravioli packet contains two separate pouches of traditional tomato and garlic sauce (Zalza tal-Kunserva) which are conveniently portioned and packed in “boil-in bags”. Simply prepare a pot of boiling water and have a delightful meal ready in just a few minutes. NEPENTHACEAE Nepenthes (tropical pitcher plants) is a genus comprising 170 species originating from the “Old World” tropics. Many are from hot and humid lowland areas, but most withstand warm days and cold humid nights. Carl Linnaeus, the Swedish botanist who formalised the modern system of naming organisms, first published the genus name Nepenthes in 1737 in his Hortus Cliffortianus. The entry for Nepenthes references a passage in Homer’s Odyssey in which an Egyptian queen gives Helen the potion “Nepenthes pharmakon”. Literally, the name translates as “without grief”. In Greek mythology, Nepenthe soothes all sorrow and eases forgetfulness. As Linnaeus said of Nepenthes: If this is not Helen’s Nepenthes, it certainly will be for all botanists. What botanist would not be filled with admiration if, after a long journey, he should find this wonderful plant. In his astonishment past ills would be forgotten when beholding this admirable work of the Creator! The next issue of will be out on 4th November 2018 with The Malta Independent on Sunday.